Hardcover, 8.25 x 10.75 in. / 400 pgs / 201 color / 15 duotone. Text by Salomon Grimberg, James Oles, Raquel Tibol. Introduction by Carlos Fuentes. 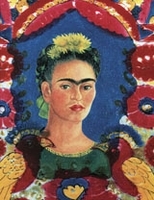 During the summer of 2007, the Palacio de Bellas Artes in Mexico City hosted the most complete exhibition ever of the work of Frida Kahlo. Marking the centenary of Kahlo’s birth, the Palacio showed 354 works, including 64 oil paintings, both beloved and virtually unknown, 45 drawings, 11 watercolors, 5 etchings, plus scores of letters, photographs and other personal ephemera. It was a labor of love, as well as a loving gesture, for Mexico’s greatest artistic ambassador. 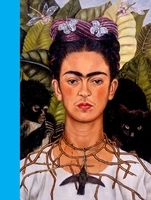 It was also timely; Kahlo is in the air again, as young contemporary artists revisit and recast psychoanalytic, Neosurrealistic figuration. 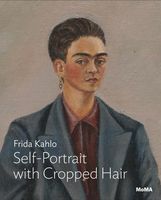 In 1953, when Frida Kahlo had her first solo exhibition in Mexico--the only one held in her native country during her lifetime--one critic wrote: “It is impossible to separate the life and work of this extraordinary person. 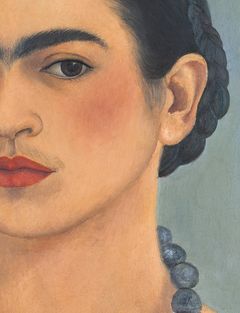 Her paintings are her biography.” Kahlo herself puts it better: “They thought I was a Surrealist, but I wasn't. I never painted dreams. I painted my own reality.” This essential catalogue, based on the Palacio de Bellas Artes exhibition, presents brief essays by a wide range of Kahlo scholars, poets, anthropologists, architects, psychologists and experts in many other disciplines, both from Mexico and abroad--as well as a more extended appreciation of Kahlo by the novelist Carlos Fuentes, along with Kahlo’s own paintings, drawings, prints and ephemera. Foreword by Kathy Halbreich. Edited by Elizabeth Carpenter. Text by Hayden Herrera, Elizabeth Carpenter, Victor Zamudio-Taylor. FORMAT: Hbk, 8.25 x 10.75 in. / 400 pgs / 201 color / 15 duotone.